Clients are requested to send at least 35% of the total cost of a tour in order to guarantee the reservation into our bank account as directed by our salesman. Balance payable in full 21 days prior to arrival. Full payment is required if tour is booked less than 30 days. When the cancellation is done in a period of over 60 days of the safari/tour, the payment will be refunded minus the Bank/ transfer fee. When the cancellation is done in a period between 30 days of the safari/tour, 50% of the payment would be refunded. When the cancellation is done in a period between 7 – 14 days of the safari/tour, 10% of the payment would be refunded. When the cancellation is made in a period of less than 7 days to the safari/tour then the payment is NON-REFUNDABLE. Price quotations are inclusive of hotel or lodge accommodation charges, meals, park fees, driver guides and his expenses. Quotations do not include hotel expenses prior to and at the termination of the tour, alcoholic drinks, tips or any other item not mentioned in the quotation.unless mentioned in the quotation. Below are all the bank details that you will require to transfer the funds to our account. If you pay using this method, you need to bear all the bank charges as we have no provisions of bank charges in the cost. When transferring the funds, please ensure that our final bank account name is mentioned in the transfer copy. Once we get the swift copy we shall send it to the bank to follow up. This mode of payment takes a minimum of 5-7 working days for the funds to arrive in our account. or Euro – and travellers cheques are accepted and are convertible at banks and bureaux de changes in the main town and tourist areas Euros are also widely used and have good rates. Credit cards are not widely accepted and carry poor exchange rates. Most of Banks offer ATM facilities. Banks in major town and Cities have introduced now ATM facilities at a better rates at least but keep in mind the exchange rates and or service charge will make you loose some money. Most of Card are accepted although with deferent banks. VISA is accepted by most of the Banks. Visitors may be expected to pay in foreign currency for game parks. Don’t change money in the street. Prices for mountain climbing include entry fees, meals, transport to and from mountain gate, hut fees/camping fees and equipment – tents, foam mattress, mess tent, table and chairs, Wash room facilities, rescue fees, porters, cook and guides. It does not include items for wearing e.g. clothes, boots, climbing sticks, socks, goggles etc. See more on climbing gear. Everyone is responsible for personal travel insurance, if already you have one. Please check whether it applies for Africa. 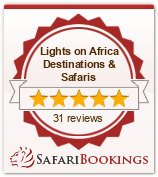 Lights on Africa Destinations & Safaris Company and associated companies act only as agents of the clients in all matters relating to hotel accommodation, tours, transport and shall not be liable for injury, delay, loss or damage in any manner. The company is likewise not responsible for theft or loss of baggage. Please baggage insurance is therefore recommended. The company and its agents act only as an agents of the tours, transport, etc and shall not be liable for injury, delays, loss, or damage in any manner. The company’s liability to passengers carried in its own vehicle is governed by the lows of the country in which the tour takes place and no other country. All claims are subject to the jurisdiction of the courts of the country in which the actions arises. The company reserves the right to employ sub-contractors for all or part of the service. The company shall not be held responsible for loss or damages to baggage. All tours: Departure time: 08:00 – End Time: 18:00 hrs .